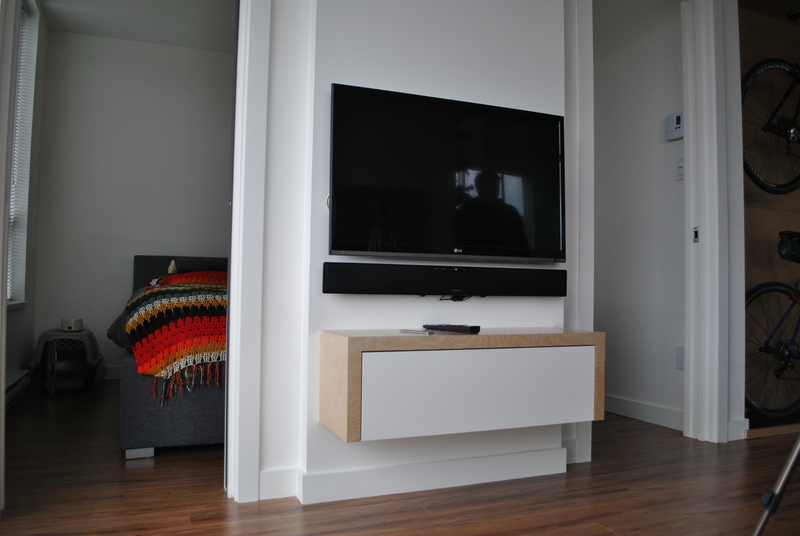 ← White high gloss entertainment unit. 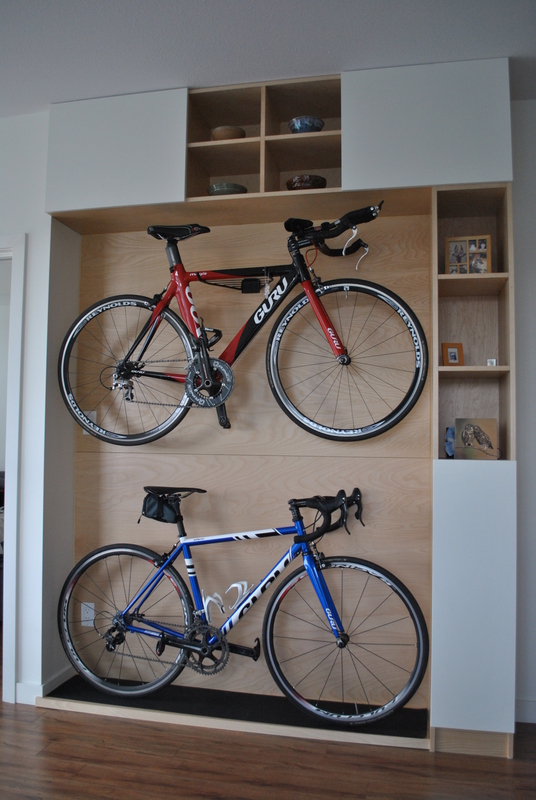 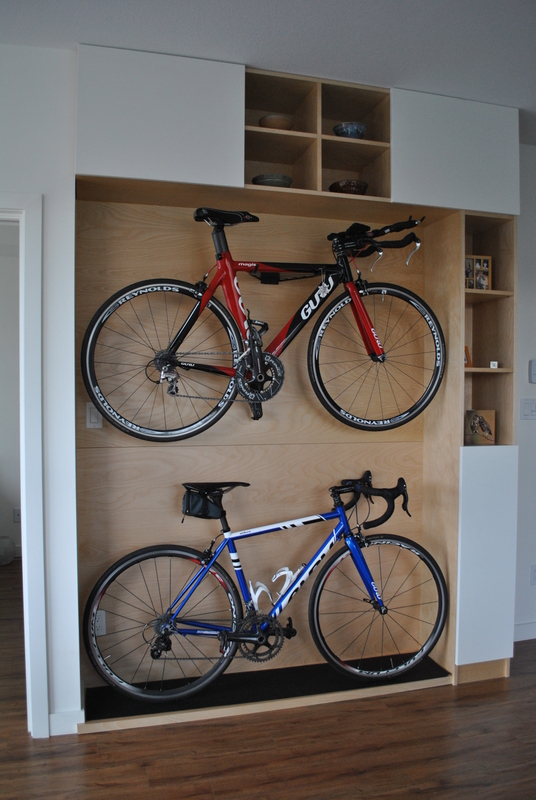 Birch bike storage with cabinets. 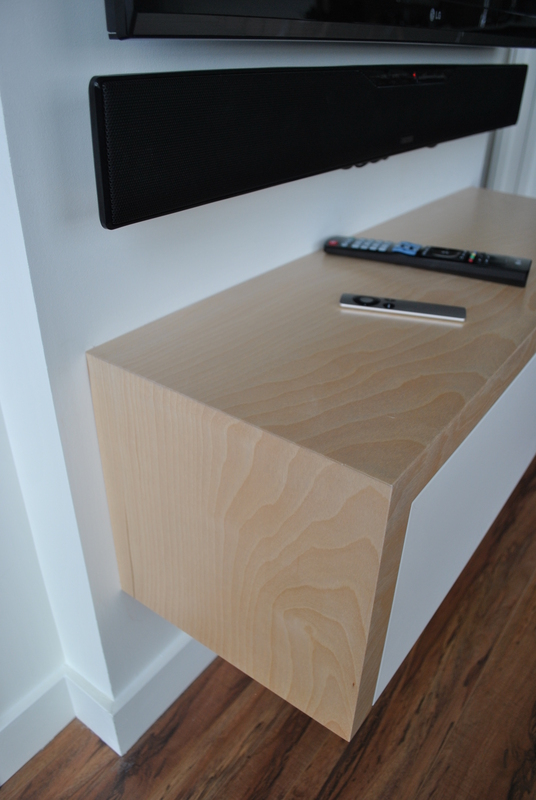 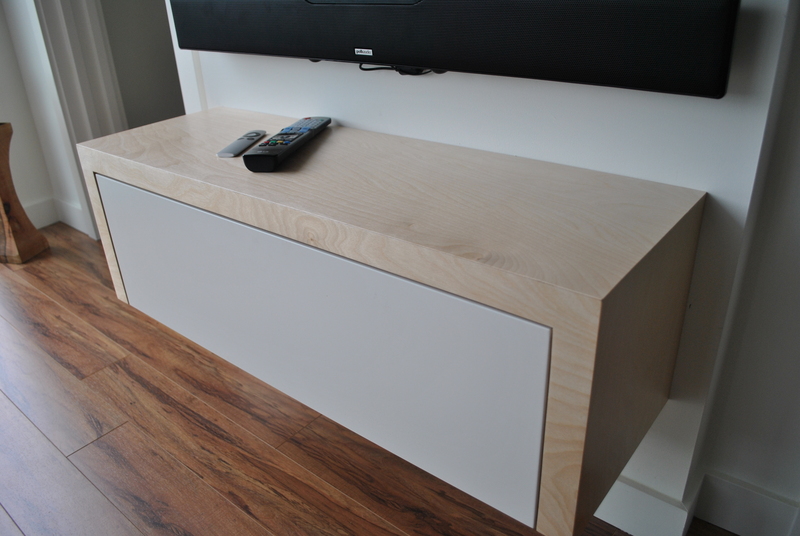 Birch veneer entertainment unit with wiring and venting through wall and out vent behind TV. 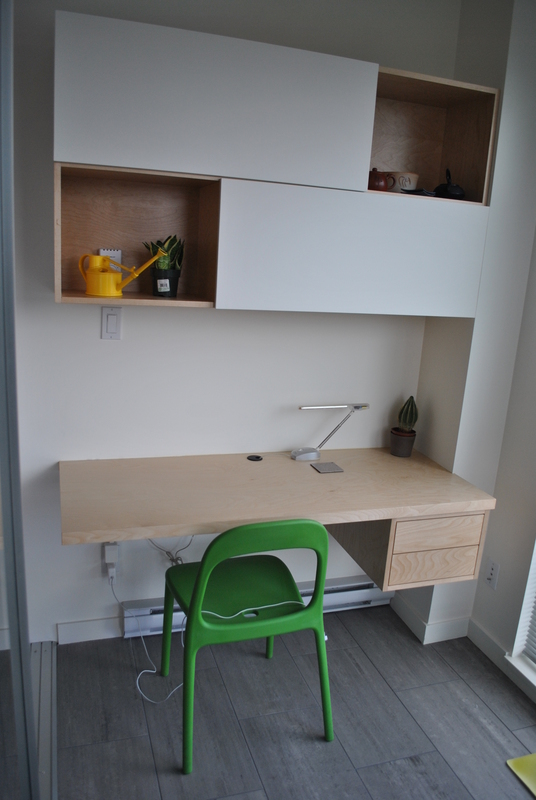 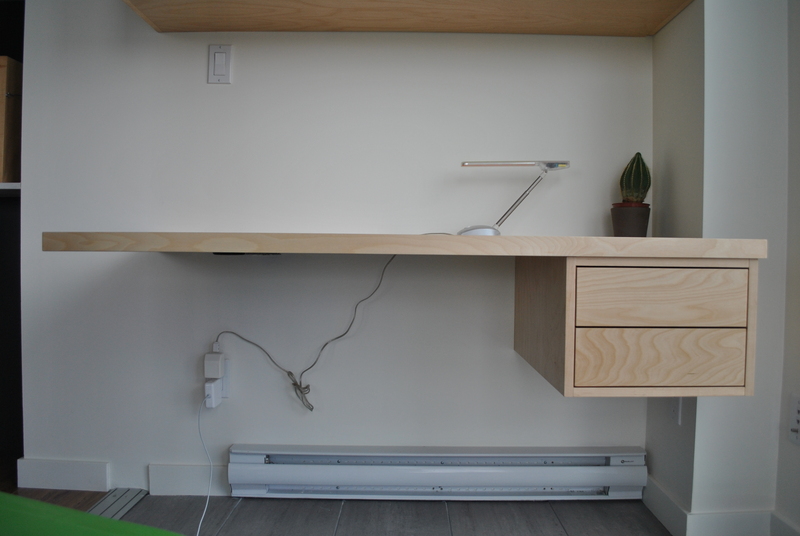 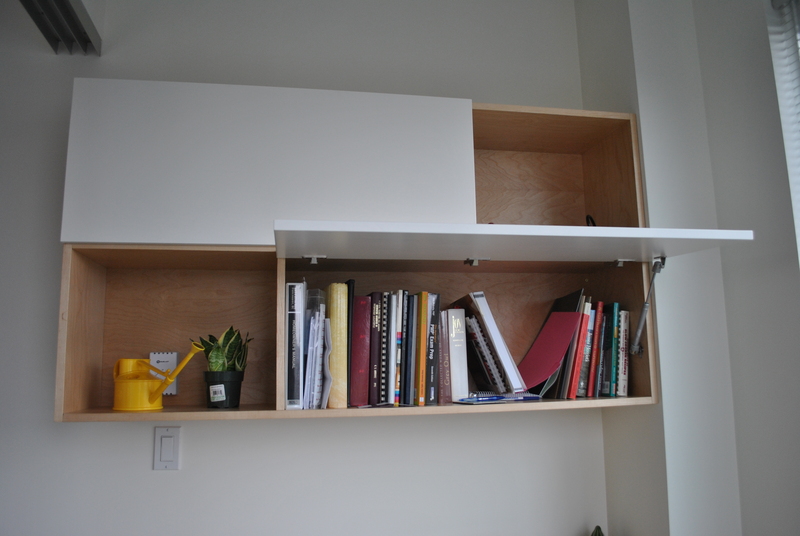 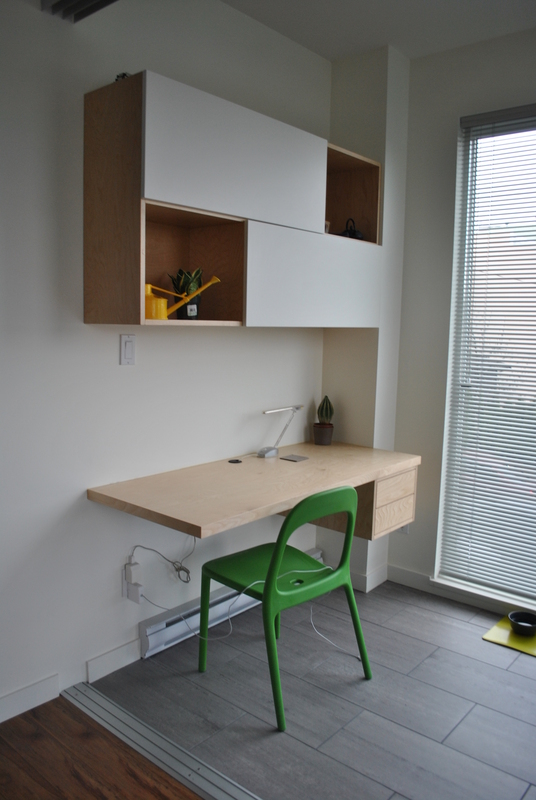 Floating birch desk with hidden steel support and floating cabinet.